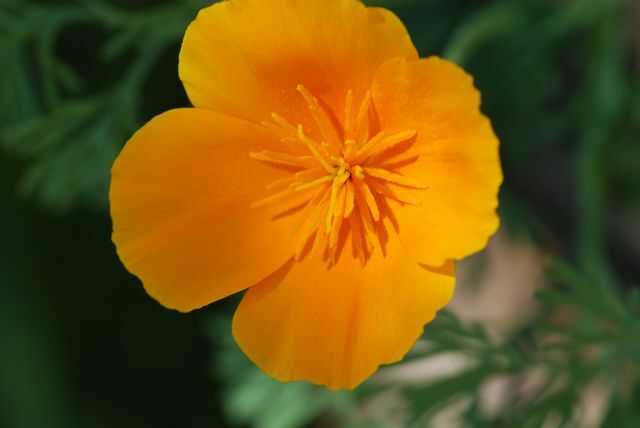 The mini-meatball seeds from last week were from California poppies, Eschscholzia californica. 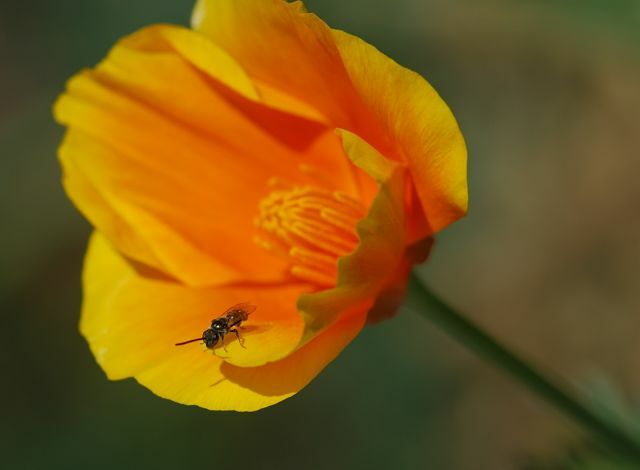 California poppies are great sources of pollen for bees. This little gal is about the size of a pencil lead. 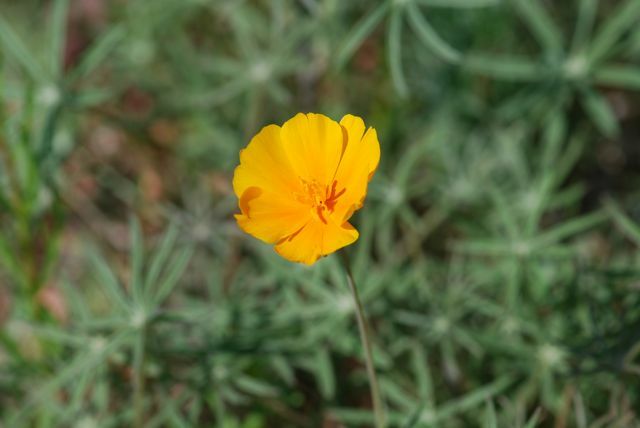 The poppies found in southern Arizona tend to be lighter in color, almost yellow at the tips. 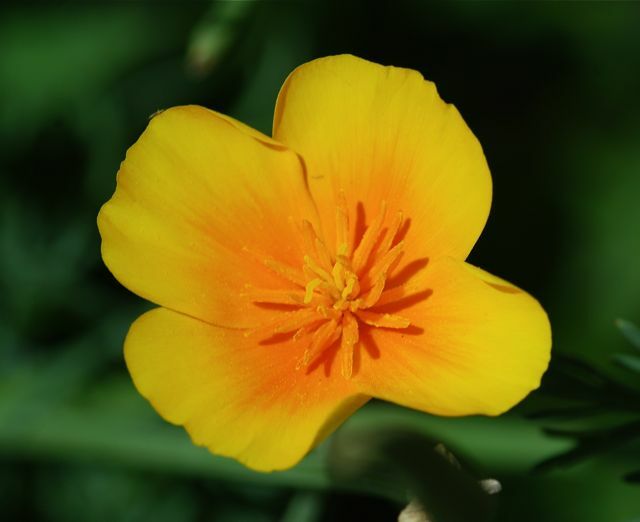 They were once considered to be a separate species, but are now considered to be a subspecies, They are commonly called Mexican gold poppies. 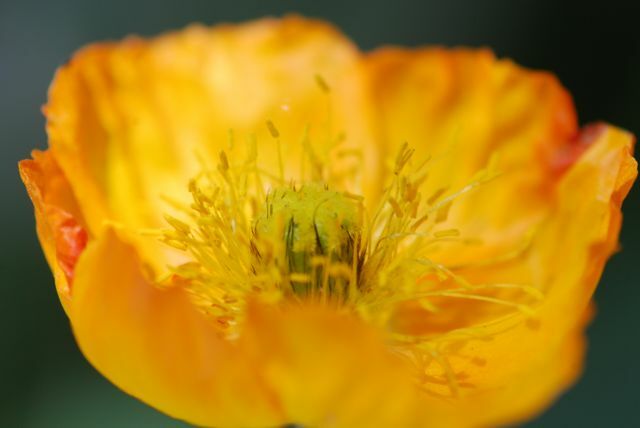 Here is the unrelated oriental poppy (Papaver) for comparison. 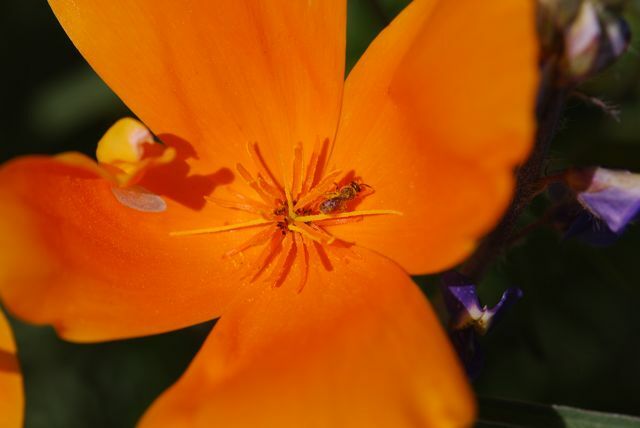 Do poppies grow where you live?